My 4-year-old twins have recently become afraid of their bedroom. If the both of them are in there they are fine, but neither of them like to be in there alone, whether it’s day or night. The problem is that their bedroom is so small now that we have two twin beds in there and they don’t spend much time in their own room. 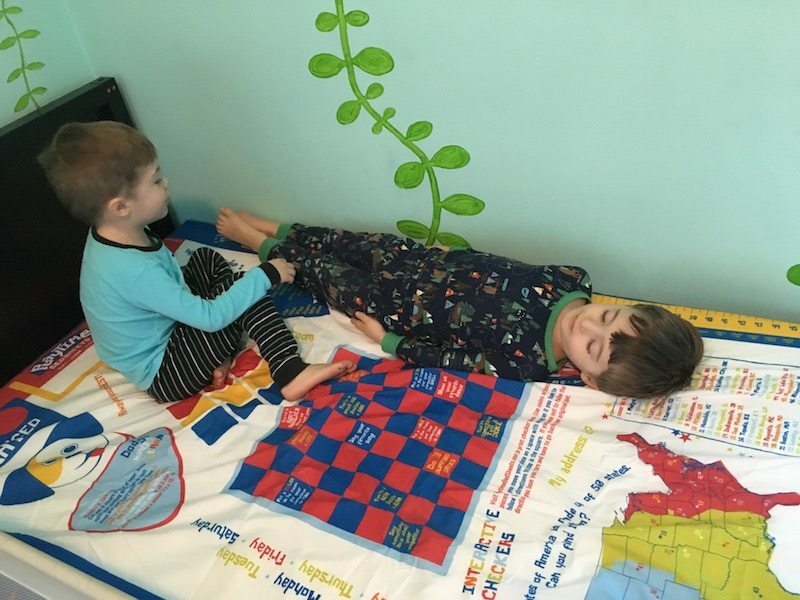 I thought to myself, if I could just figure out a way to get them excited about playing in their room again that my problem would be solved. 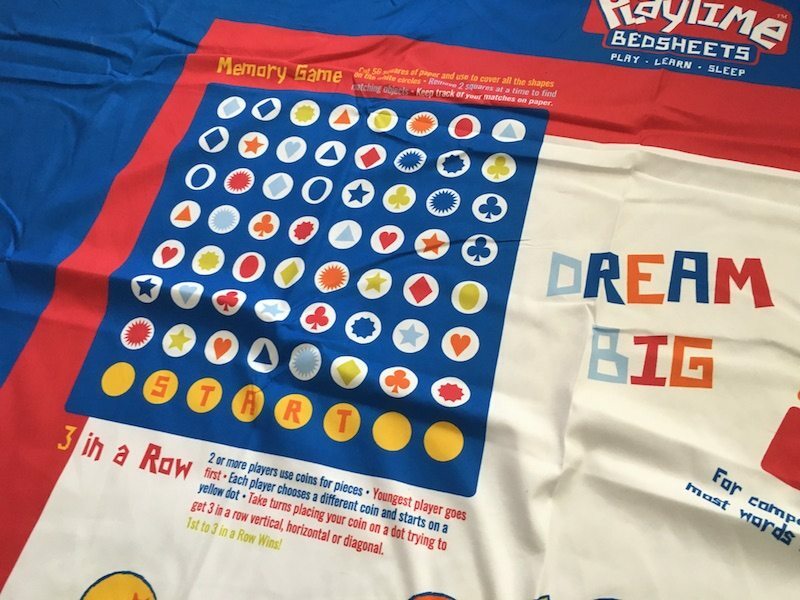 Enter Playtime EDventures Playtime Bed Sheets to save the day! 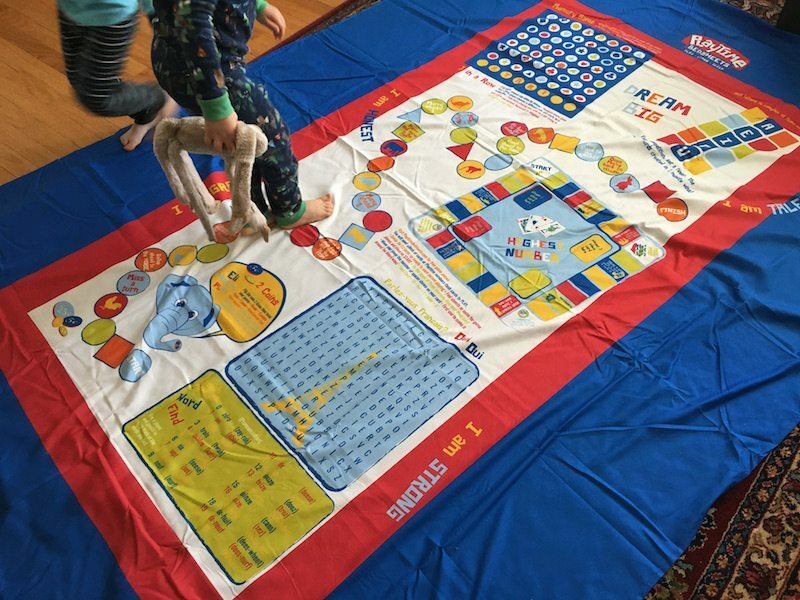 The Playtime Bed Sheets from Playtime EDventures are totally BRILLIANT — literally! They are covered with educational games and activities for kids age 3 and up. 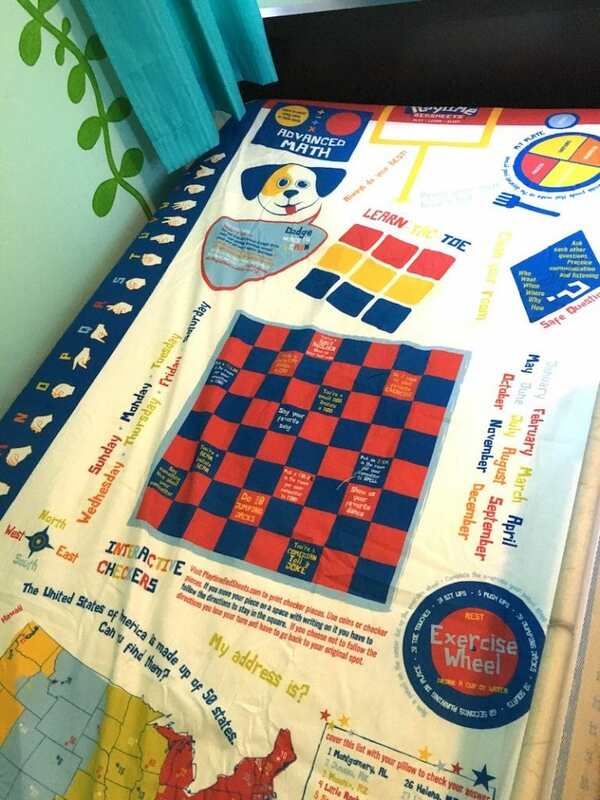 Playtime Bed Sheets feature bright colors and fun interactive games, including checkers, chess, bowling and tic tac toe, with more than 30 fun interactive games and positive affirmations. 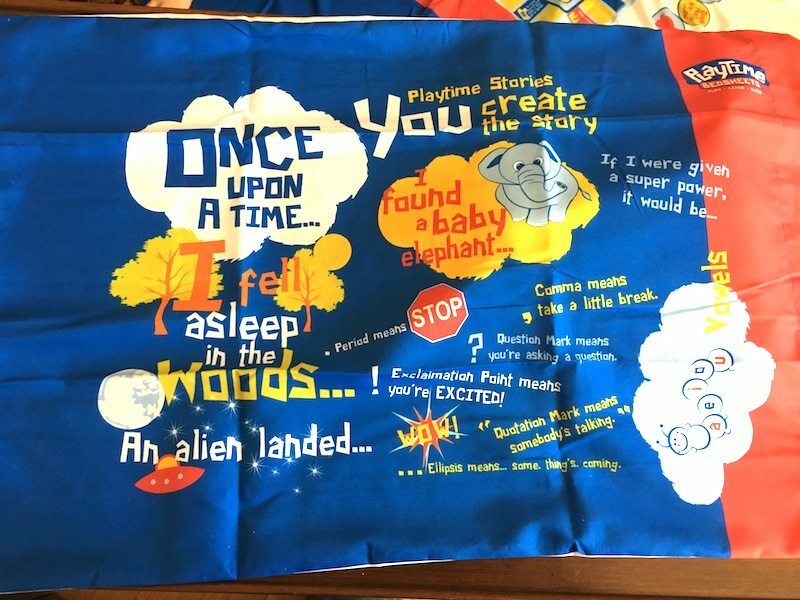 And the pillow cover encourages kids to create their very own stories. 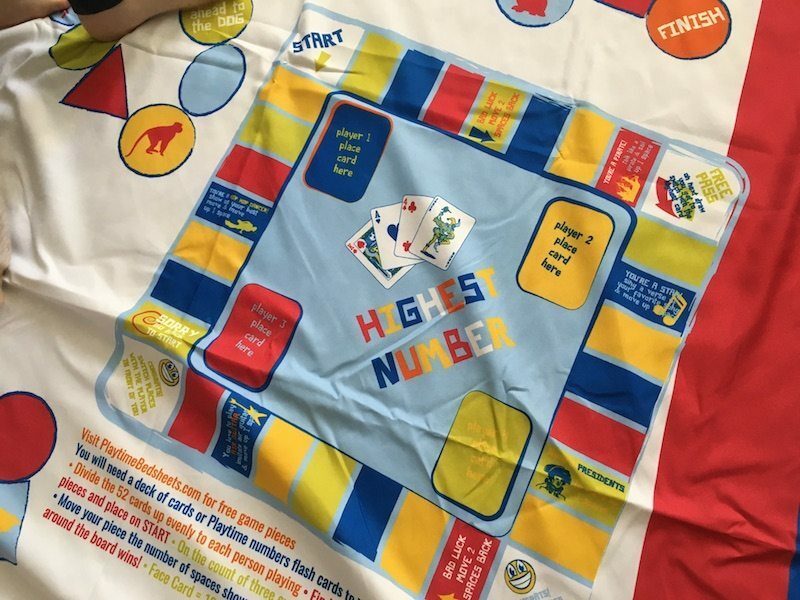 What better way to get your kids excited about bedtime and bedroom play than GAMES? 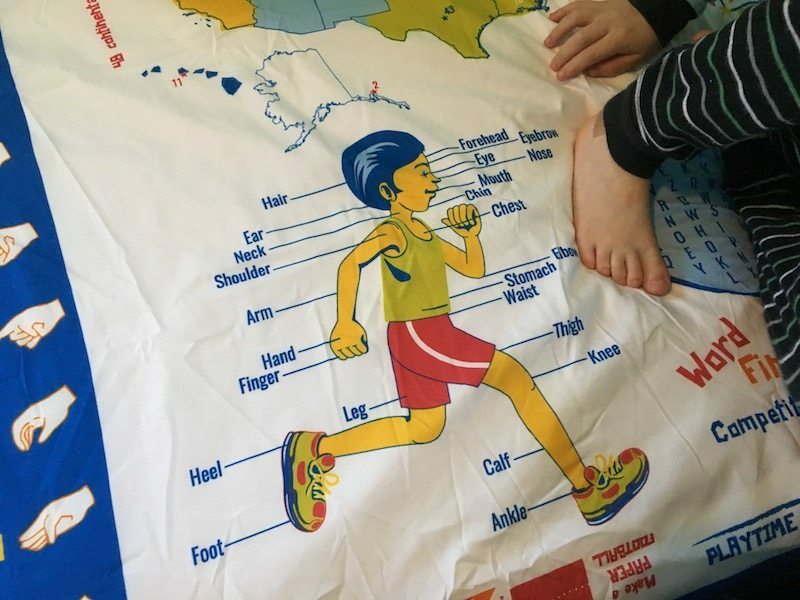 The sheets were a total hit with my kids. 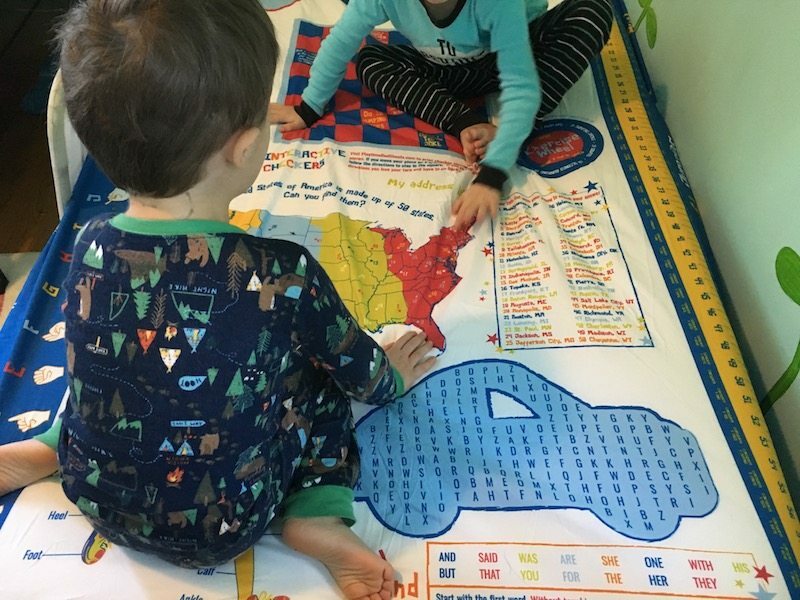 My boys had a blast checking out all the games and graphics all over the fitted sheet, flat sheet, and pillowcase. The games range from preschooler to middle schooler level. 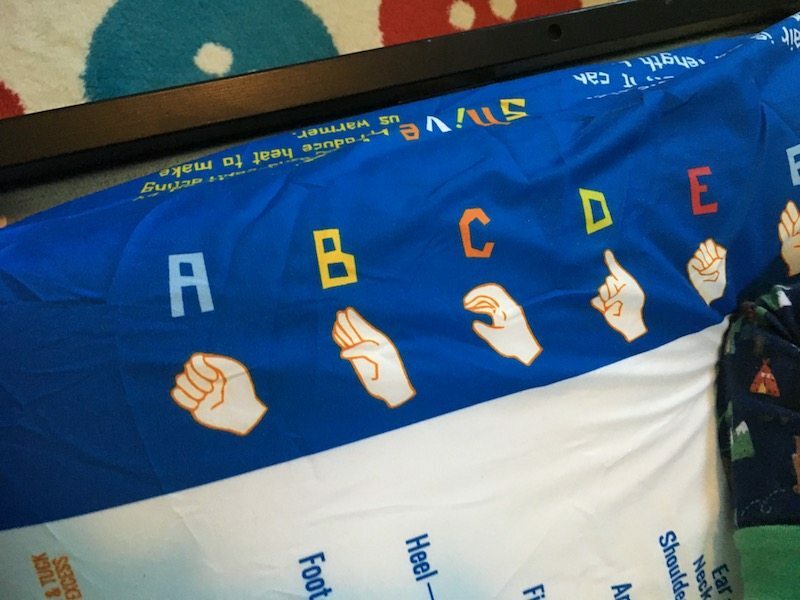 The varying degrees of difficulty, from beginner to advanced, means that they will be able to use these sheets for years without getting bored. As they grow there will be more games and activities they can play as their abilities advance. The material used for the sheets is soft and comfortable for sleep. At this time the sizes available are twin and full (no toddler size), plus you have the option of a “boys” or “girls” design, AND sleeping bags! These would be perfect for a kids sleepover! 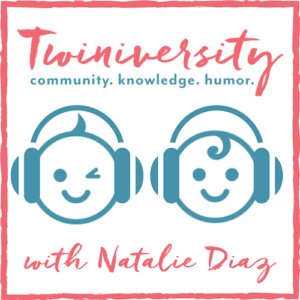 Playtime EDventures’s mission is to foster an environment that encourages natural stimulation by pulling the child away from TV and adult radio. 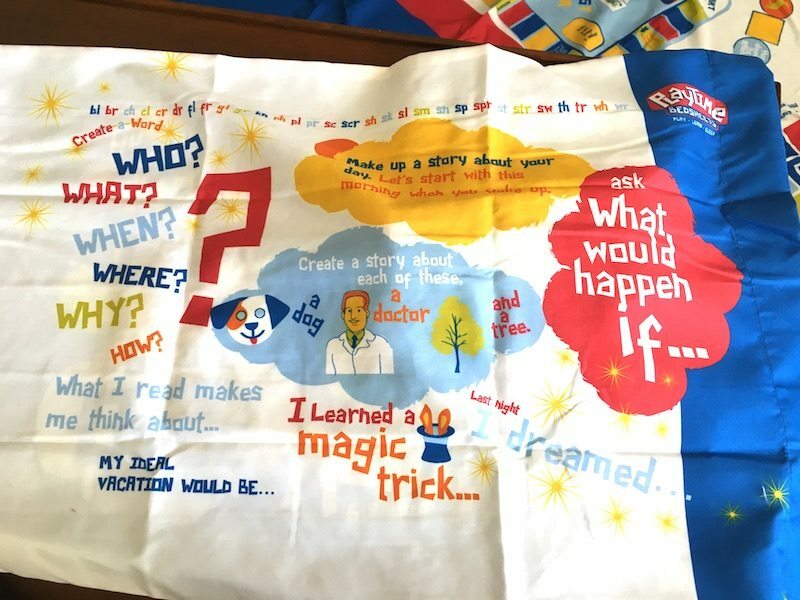 Their goal is to turn the focus for kids toward interactive activities while in their room or while traveling in the car, enhancing their creativity and promoting healthy attitudes around learning. 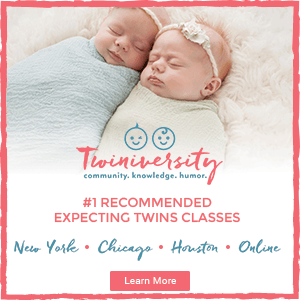 The curriculum for their sheets has been designed in close collaboration with nationally recognized early childhood education experts and professionals. 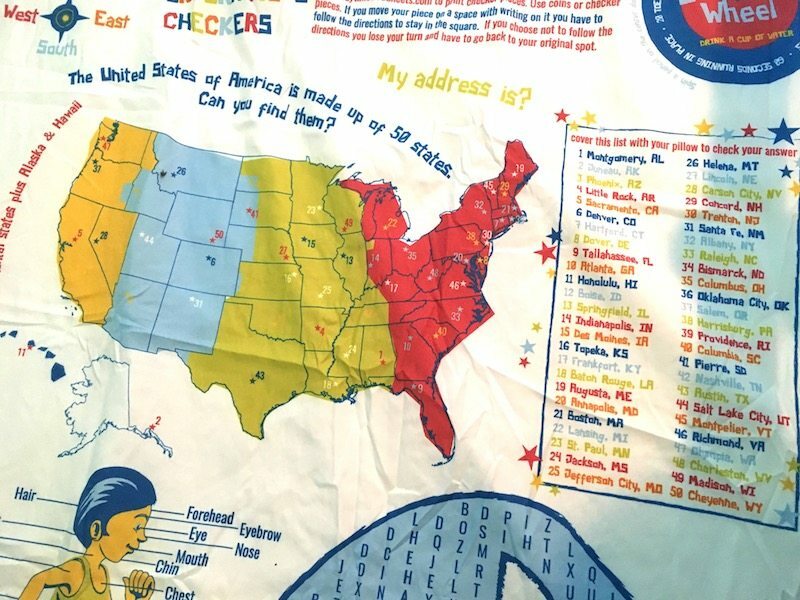 An added bonus: A percentage of every sale goes to support early childhood development enrichment programs across the United States. 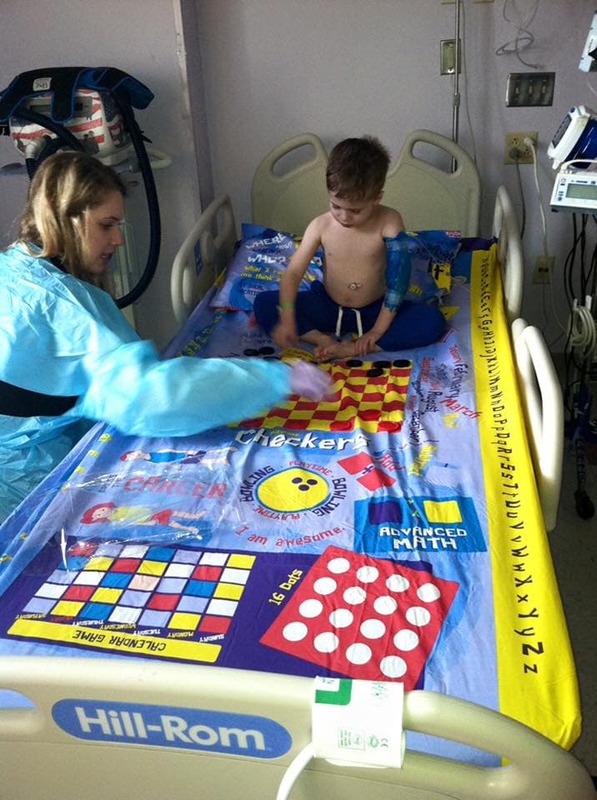 Playtime EDventures has taken their innovative sheets to local hospitals so children no longer have to go any further than their own beds to find fun. 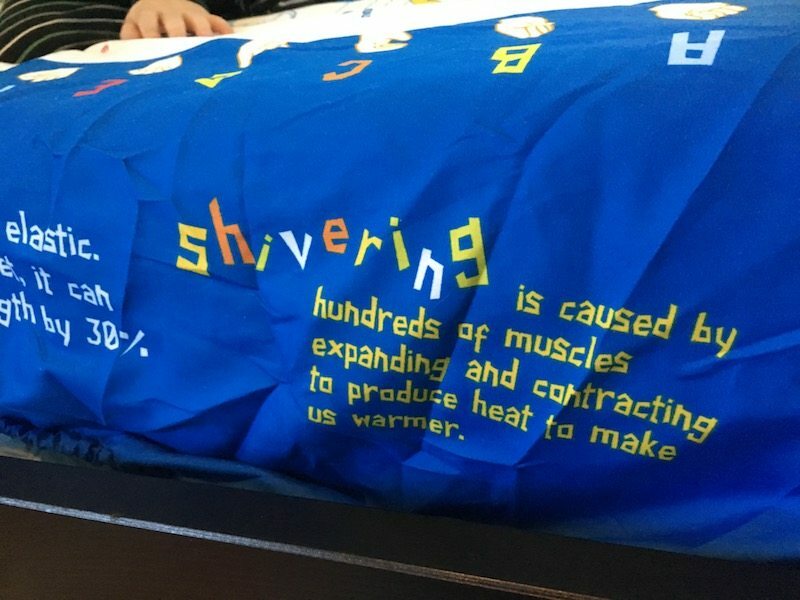 Shriners Hospitals for Children — Greenville recently became the latest of five hospitals to utilize the colorful bed sheets. 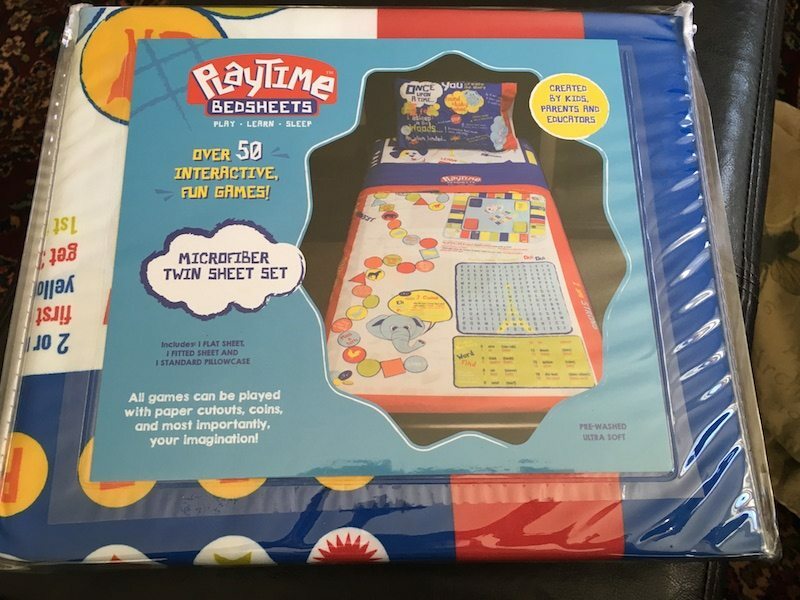 Shop for Playtime Bed Sheets on Amazon! 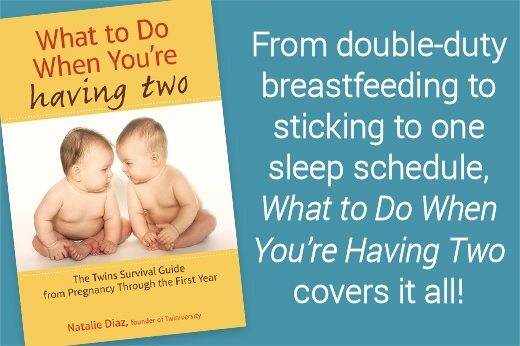 Should My Twins Have Separate Bedrooms?